Carla Christofferson, formerly a managing partner at O’Melveny & Myers LLP, has joined AECOM (NYSE: ACM) as executive vice president and general counsel. She will be based at AECOM’s Los Angeles headquarters and oversee the company’s global legal function, AECOM said Monday. 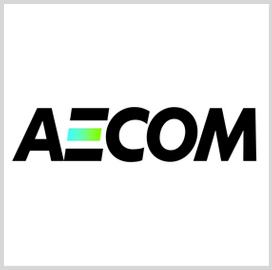 “I am confident that Carla’s proven track record will augment AECOM’s ability to compete successfully in our global markets, enhance the delivery of our clients’ projects and advance our ongoing focus on performing our work with the utmost integrity, ” AECOM CEO Michael Burke said. Christofferson joined O’Melveny & Myers in 1993 as an associate and moved into the partner role before she became managing partner of the firm’s Los Angeles office in 2008. She began her career as a judicial clerk for W. Matthew Byrne Jr. of the U.S. District Court, Central District of Los Angeles, after graduating from Yale Law School. Christofferson is chairperson of the Los Angeles Library Foundation board and a member of the Young Presidents’ Organization.